Jan 24, 2018 › Categories: Events, Got Beer? It’s a time of year when a celebration of craft beer made in the Ocean State and beyond takes place. Numerous brewers create rare beers that excite the taste buds and get the senses going. 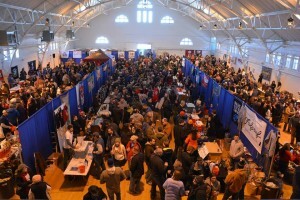 The sixth annual Rhode Island Brew Fest will take place at the Pawtucket Armory on Jan 27 for a sold-out day consisting of two sessions and plenty of tasty beverages: 17 Rhode Island-based breweries will be showing what they got along with other breweries from other areas of the United States. There will also be plenty of pretzel necklaces and numerous local vendors setting up shop. “We are thrilled once again to have sold out the Pawtucket Armory for two sessions of the Rhode Island Brew Fest,” said Matthew Gray, president of Gray Matter Marketing, who has been part of the brew fest since the inception along with being the creator of it. “Over the past six years we have seen the Rhode Island beer scene explode with new local brewers opening their doors. It has been fun to witness and be a part of.” The Portsmouth-based agency has been integral in promoting the brew fest and a big part of its success. Rhode Island will be well represented by the likes Cranston’s Revival Brewing Company, Westerly’s Gray Sail Brewing, Wakefield’s Whalers Brewing Company and Woonsocket’s Ravenous Brewing Company, among others. All of Pawtucket is going to be in the building with Foolproof Brewing Company, Bucket Brewery, Crooked Current Brewery, Narragansett Beer, Farmer Willie’s Craft Ginger Beer and The Guild making each of their presences felt. Stratford, CT’s Two Roads Brewing Company, Worcester, MA’s Wormtown Brewery, Lakewood, NY’s Southern Tier Brewing Company and San Diego’s Ballast Point Brewing Company highlight the out-of-state breweries that’ll be giving out beer samples. It’s a type of event that’s a beer lover’s dream. The afternoon session runs from 1-4pm and the evening session runs 5:30-8:30pm. 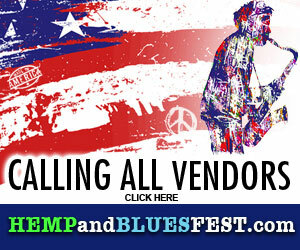 Make sure to drink plenty of water to avoid dehydration and check out the numerous food vendors to get some grub. The Newport Jerky Company is ideal for the adventurous palate and the Fox Point Pickling Company has an abundance of tasty snacks. Since it’s sold out, you’ll need to already have a ticket to get in. If you’re going to be attending the Rhode Island Brew Fest, make sure to drink responsibly.